Blog Don't Miss To Be Engaged!! Don’t Miss To Be Engaged!! 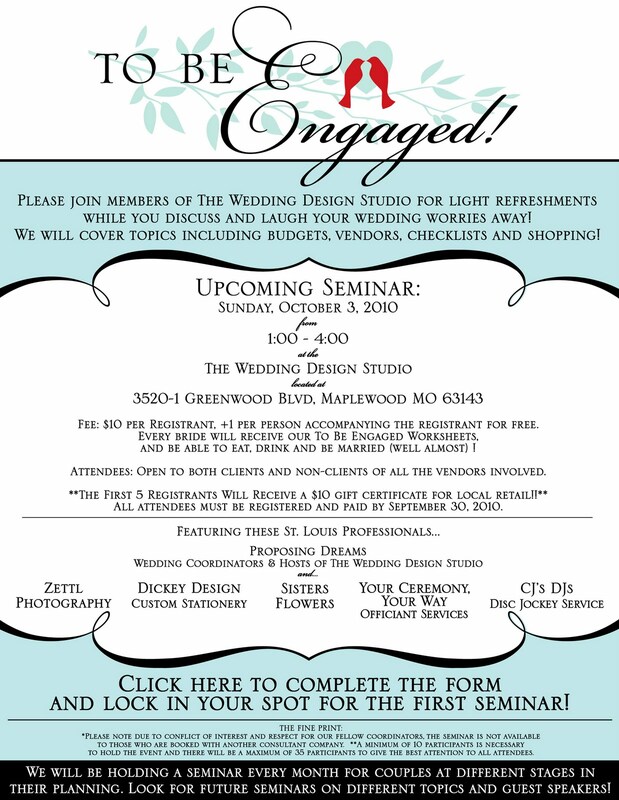 Click here to complete the form and lock in your spot for the seminar! Take a look at the day’s agenda!! 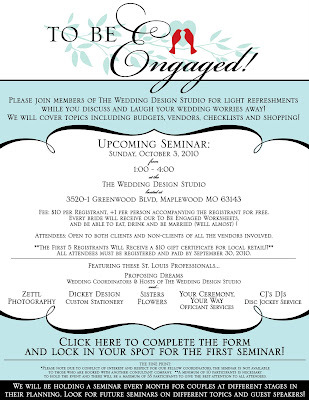 1:00 – 1:30 Welcome & Mingle – Check in and chat with other brides-to-be and the featured pros. ~Know before you Go! Making the best of bridal shows! 3:00 – 4:00 Open Q & A – a chance to ask questions specific to each pro.